Joyce Lyon at Form + Content Gallery. 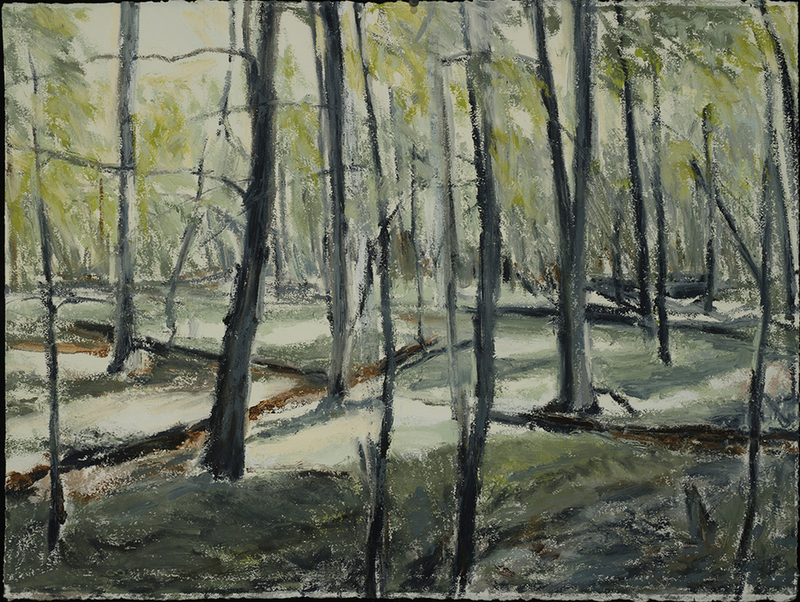 The rhythmic structure of a small woods on a Wisconsin farm, the repetition of vertical and horizontal movement and the play of light through the trees suggest an almost sacred geometry. 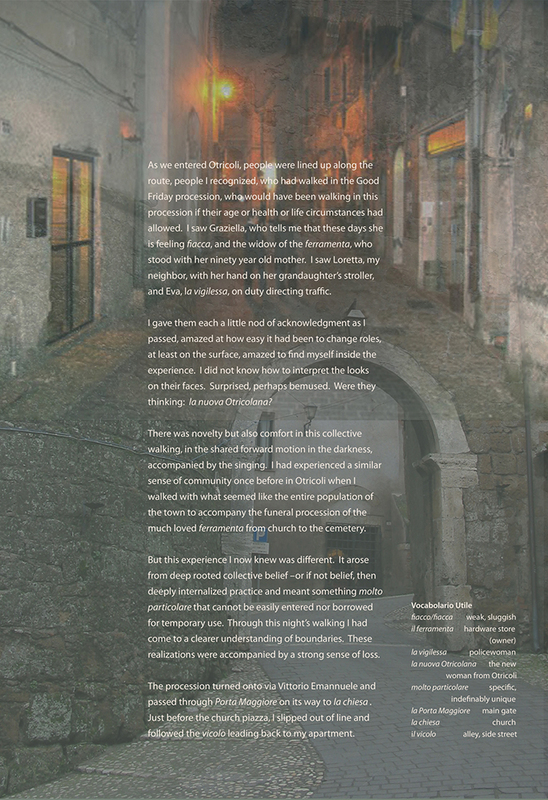 Place has always provided the metaphor through which I understand and communicate experience. I am interested in the fragile and essential ways by which meaning is conveyed and in the resonant relationship between silence and what can be understood. 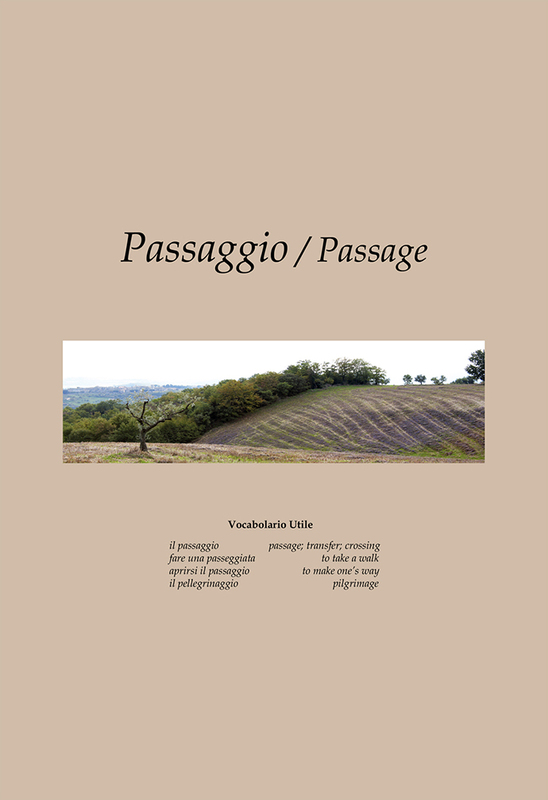 Passaggio/Passage is a series of sixteen digital broadsides / an artist's book narrating my experience of Lo Sbarco di San Vittore / The Landing of St Victor, the yearly reenactment of the martyrdom of the patron saint of Otricoli, a tiny town in Umbria, Italy. 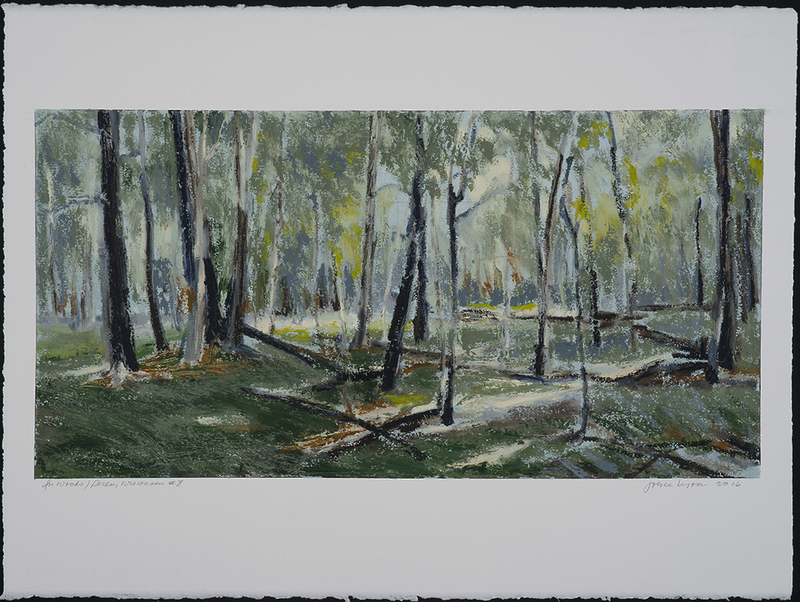 In this work I consider pilgrimage as it relates both to physical and spiritual journey and as a meditation on here and there and the passages in between. 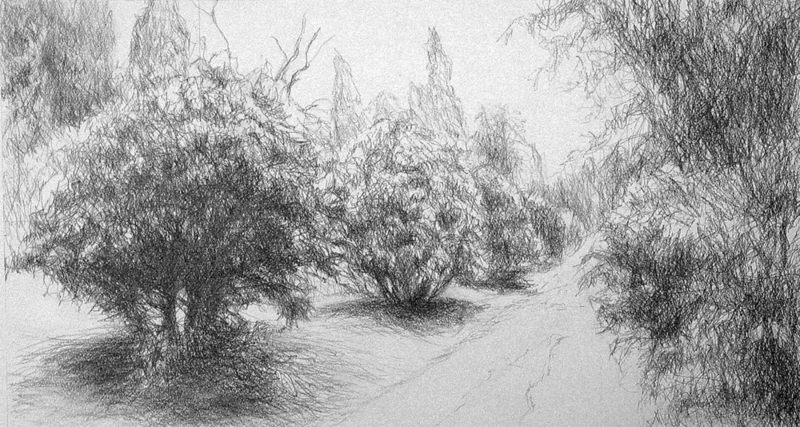 These drawings are a response to the small Italian town where in recent years I have lived part–time. The directness of graphite allowed a focus on the experience and process of drawing. Each is a place I have explored attentively –a formal garden beneath my window, a certain vineyard or olive grove. Each is informed by observation and sensual memory and aided by photographs that serve as reminders of specific relationships of light, shapes and space. They become records of the possibilities of each drawing, a particular piece of paper covered with a sequence of marks and alterations.